Known as versatile and durable models great for a number of different applications and surfaces, Subaru vehicles require care and expertise to keep them running optimally. And at Jerry Lambert Automotive, that’s exactly what we’re here to provide. Founded in 1959 as Lambert Service, a family-owned full-service gas station, Jerry Lambert Automotive has grown into one of the largest auto shops in all of Salt Lake City – and we’ve done it without forgetting about the qualities that brought us success: Personalized and friendly service. You’re greeted with a smile when you walk in our doors, and you always leave satisfied, which is why we’ve maintained our A+ rating with the Better Business Bureau for years. 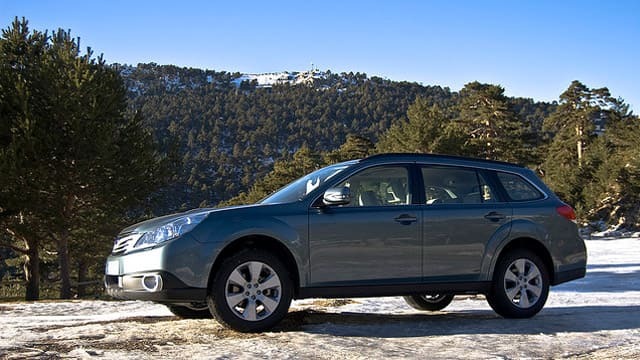 Which model of Subaru do you drive? We service them all, from the BRZ or Tribeca to the Impreza (and WRX), Legacy, Outback, XV Crosstrek, Legacy, Forester and others. We perform a full range of services on each of these models, from basic oil changes or tire rotations up to significant transmission or other engine repairs. All the while, you get the confidence of knowing an experienced, ASE-certified mechanic is working on your Subaru. We’re transparent in our pricing and services, meaning you’ll never come to the counter to check out to find a bunch of surprising charges on your bill. Best of all, we’re easy to find. Residents of Salt Lake City, Sandy, Midvale, West Jordan and many surrounding areas are all within a reasonable driving distance. As long as you’re in the valley, you never have to worry about being too far from exception vehicle service. To learn more about the Subaru services we provide, or to schedule an appointment with our expert mechanics, call us at Jerry Lambert Automotive today or stop by our 3300 South location.